As his plane touched down in Las Vegas on Thursday, Justin Lawrence made it one step closer to his dream. It was announced earlier this week that Lawrence, of Villa Ridge, was one of just 32 mixed martial artists from a field of 500 prospective entrants to be picked for "Ultimate Fighter Live." The latest season of TUF debuts March 9 on FX and will feature lightweight fighters. "The Ultimate Fighter Live: The Preview" will air on March 8th at 11:30 p.m. Eastern on Fuel TV and will preview the upcoming season. 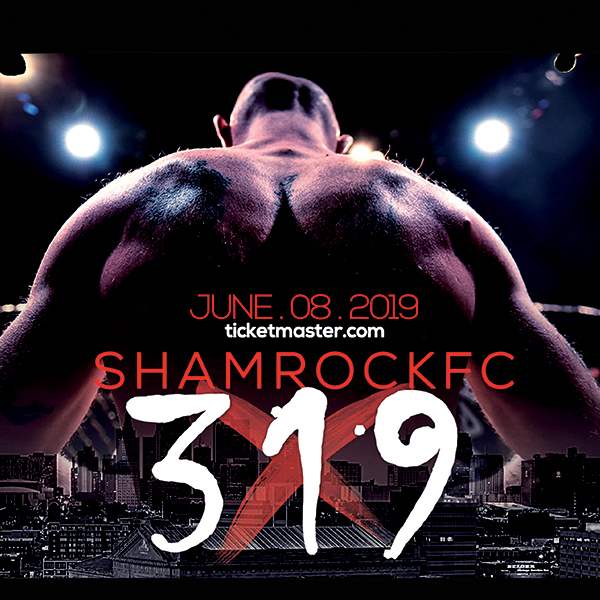 The preview will feature UFC president Dana White and coaches Dominick Cruz and Urijah Faber. Cruz and Faber will coach the fighters this season before meeting for Cruz's bantamweight title in July. The 30-minute preview will look at the coaches, plus the 32 fighters who will vie for a spot in the TUF house. "What we are doing this season with ‘The Ultimate Fighter Live' – it's never been done with television, with sports, with anything," White said in a press release. "Basically, the reality portions of the show that you're going to see will have been shot in the last two days, so everything is real time. The most incredible part of all this is that these fights are live, every Friday night. This is revolutionary television." Lawrence knew prior to this week that he made the show but had to keep his selection under tight lip. He let his parents and a few friends and family know and that was about it. "I found out about a month ago when I got call saying that I had made it," Lawrence said. "It was hard to keep quiet. But if too many people knew or too big of deal was made about it, they could have cut me." Lawrence, 21, has been a member of team Black House for well over a year. Black House is one of the most prominent teams in all of mixed martial arts with the likes of UFC middleweight champion Anderson Silva, former UFC light heavyweight champion Lyoto Machida and both Nogueira brothers all part of its roster. Being a part of Black House definitely has its advantages. It got Lawrence through the initial cattle call for TUF in December without an official tryout. "Having Black House behind me was a big part of it," Lawrence said. "Those guys have been in my corner. They really look out for their fighters and will bend over backwards for you." Lawrence did have to submit an audition tape before going to Vegas earlier this year to begin the final stages of the tryouts. "It was awesome seeing all of the fighters who wanted something as bad as I did," Lawrence said. "There were guys who were born and raised in gyms like me. It was a huge motivator." If Lawrence is there until the end it will mean 13 weeks away from his family, 13 weeks with no cell phones and 13 weeks with no internet. "I have trained with my dad every single day and I have never fought without him," Lawrence said. "But I have to man up. This is not only to better my life but my family's and my dad's gym. I'm a social guy but I have bigger goals. I'm there to do something." Season 15 of the series introduces a new format that features live fights during the 13 consecutive weeks in which it airs. Previous installments of the wildly-popular program were taped months in advance over a six-week period. The show will conclude with a three-hour live finale on June 1, when the winner will earn a six-figure contract with the Ultimate Fighting Championship. The premiere begins with 16 live fights, with the winners advancing into "The Ultimate Fighter" house. They will then be divided into two eight-man teams, which will be coached by Cruz and Faber. "I'm kind of curious how it will play out," Lawrence said. "I'm pretty blind to everything. They keep it limited to what you know." 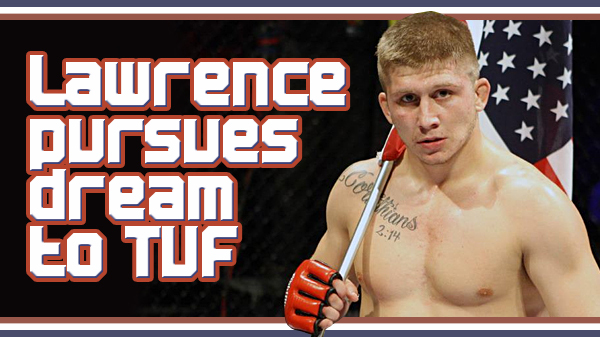 Lawrence is psyched at the opportunity to train and learn from either Cruz or Faber. "They are both two legends of the sport," Lawrence said. "Both are very decorated and very well rounded. I'm excited to train with either one of them. I will be a sponge." Lawrence built his reputation as a boxer and kickboxer training and competing for his father, Benny Voyles at 21st Century MMA in Pacific. As a teenager, he won multiple national kickboxing titles in open men's division and his reputation began to grow. In high school, he was a decorated, multi-all-state selection as a wrestler and was also a talented running back. He began his amateur MMA career fighting for Shamrock Promotions. Lawrence made his professional MMA debut in Strikeforce in late 2010, defeating Max Martyniouk by technical decision. He last fought in November, when he submitted Jason Webb with a first-round armbar inside the Fight Me MMA promotion. "I was born to fight," Lawrence said. "I've thrown over a billion punches, I've done thousands of takedowns and submissions. Once I'm there I'm going to let my instincts take over. I'm there to win. My goal is to be a UFC champion and have that belt around my waist." Lawrence bounces around the St. Louis area to do his training. There is jiu-jitsu at Finney's Hit Squad, sparring at St. Charles MMA, and boxing at North County boxing club. "I love it," Lawrence said. "They have welcomed me with open arms. I like not fighting the same guys day after day." But one thing is consistent with his training, just as it has been since day one. "My days begins and ends at 21st century," Lawrence said.